This work builds on relationships formed in the late 1990s through the American Indian Housing Initiative (AIHI), a collaboration between CPID’s antecedent also founded by Professor Palleroni, the BASIC Initiative, and Professor David Riley while both were professors at the University of Washington. 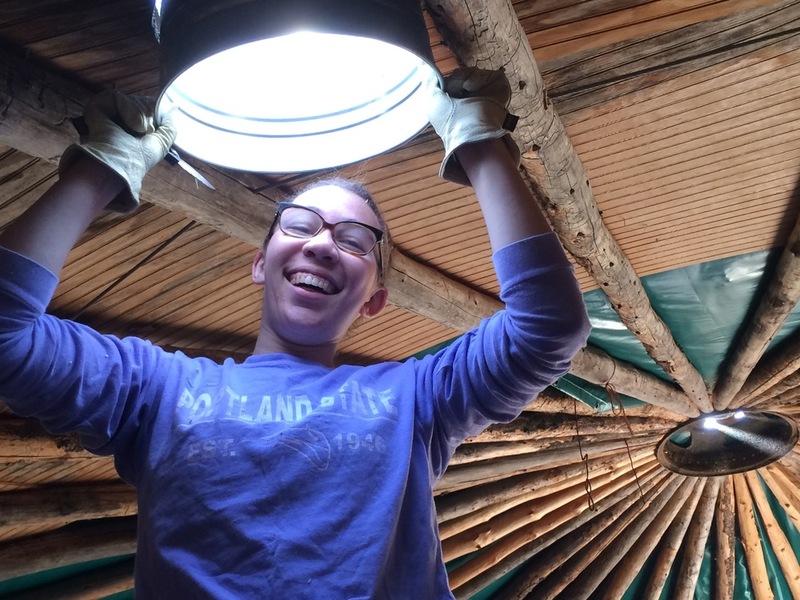 This program worked with students to explore the use of straw-bale construction as an affordable, efficient, and community based sustainable solution to housing on Native American Reservations where housing is in short supply and often inadequate. Over the course of several years, this initiative built dozens of homes and public buildings that involved community members in the process of building. The first AIHI straw-bale home was built for a woman named Peggy Wellknown Buffalo on the Crow Reservation in Garryowen, Montana. With her housing needs taken care of, she founded an award-winning youth development organization called the Center Pole Foundation immediately following the erection of her home, which endeavors to empower the Crow people through education of health and energy issues, as well as giving them a voice through the creation of a radio station and a digital archive. In support of The Center Pole's mission, the CPID recently began working on the construction of a traditional native Earth Lodge for the Foundation which will serve as a classroom and space for tribal ceremonies. The earth lodge was begun as a demonstration project based on traditional buildings, using free logs from reservation forests gathered using fire prevention load reduction techniques. The beautiful timber frame was erected by friends of the Center Pole Foundation, but completing the structure proved complicated and the CPID was asked to explore design ideas for completing the structure. After working with Peggy Wellknown Buffalo on design opportunities to best respond to the desire for the earth lodge to be utilized as a classroom, ceremonial space, and guest lodging for medicine men, the CPID got to work on a beautiful interior space and sheathing the structure. Over several visits, CPID enclosed the structure in teepee poles, replaced the temporary roof with a permanent one with skylights, created a prominent entry based on vernacular structures, and installed benches around the lodge’s circle. The result is an inspiring space for the foundation and tribe to occupy. Final steps of the project will include working with local youth on the design of a mural around the exterior of the earth lodge walls that depict lessons in tribal history – the lodge itself becoming a teaching tool for the Center Pole Foundation.